Buying a car is like buying a TV or mattress, buyers expect it to last a while because the financial outlay for it is so high. 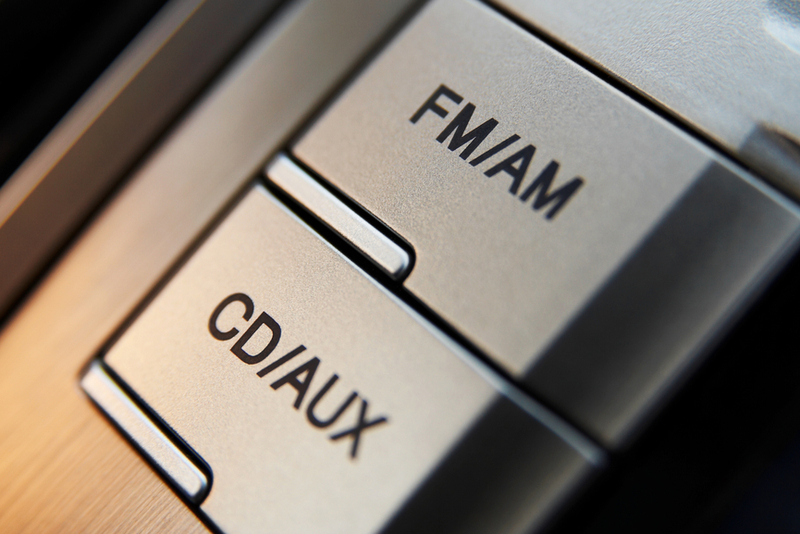 There was a time when the most impressive thing you could have in your car was a Cassette deck or CD player, and even those things used to be optional! If you had either of these in your car you could brag to your friends that you were set for the future and you probably were…at least through the end of the 1990s. But these days, car tech comes and goes faster than the changes to each make and model. In fact, while most probably have never even gotten around to installing Hard Drives or HD Radios in their car, they’ve already become more dated than shoulder pads on suits. So aside from lengthening your car’s life span with actual maintenance and the occasional tune up, another way to make your vehicle future-ready is to invest in the latest gadgetry. Here are some of the must-haves for vehicle owners who, while not looking to go full on James Bond or Batman with their car, want to at least be ready for driving around in our tech-fueled world. 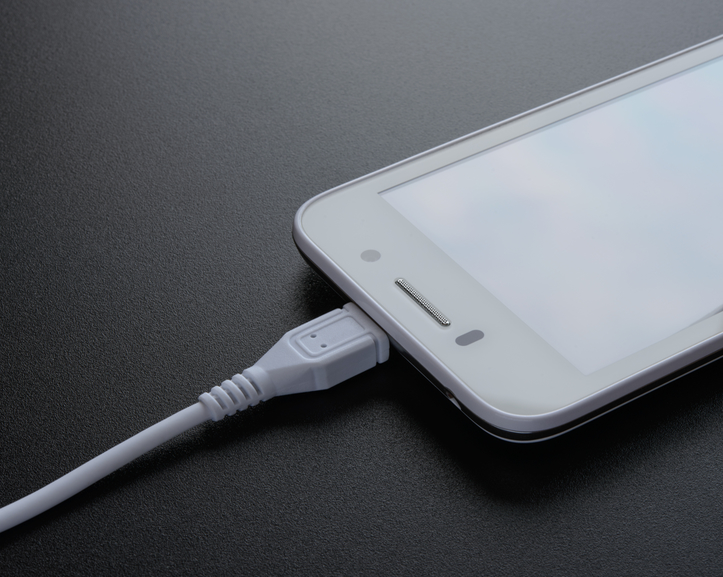 Chances are you and your passengers all have phones, laptops, or tablets with a USB enabled charging cable. A USB Port makes keeping these devices charged and ready for use easy. Since USB has become the standard for most mobile devices, it does not matter if you or your passenger uses Apple, Android, Windows, Nokia, or any other device, these ports are ready for all of these. 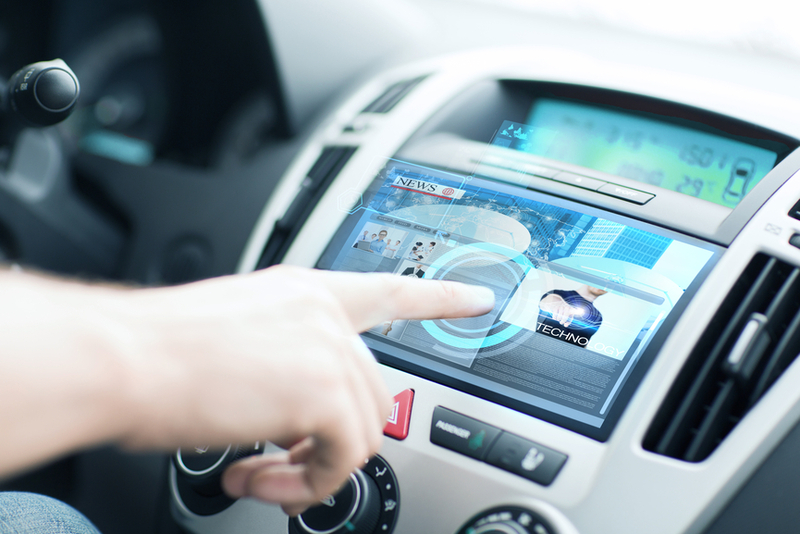 Most cars manufactured in the year 2010 or later will be equipped with these standard and the ones built-in usually have the function of an internet modem, essentially turning internet-enabled vehicles into a mobile internet hot-spot. For those drivers who do not wish to trouble themselves with internet connections through the relatively unsecured network of vehicles, these USB ports can merely be used for streaming media such as music and video to your car’s on-board entertainment systems. The most important function is still the charging. However, if this feature does not come standard in your car, you can easily find a relatively inexpensive adapter that works with your car’s cigarette lighter/power outlet. It’s sort of amazing that a navigation system is still optional for vehicles. While the quality varies from manufacturer to manufacturer they generally work the same way. Often connected via location services to a satellite, they map out routes to desired destinations based on an updated computer system and guide drivers. 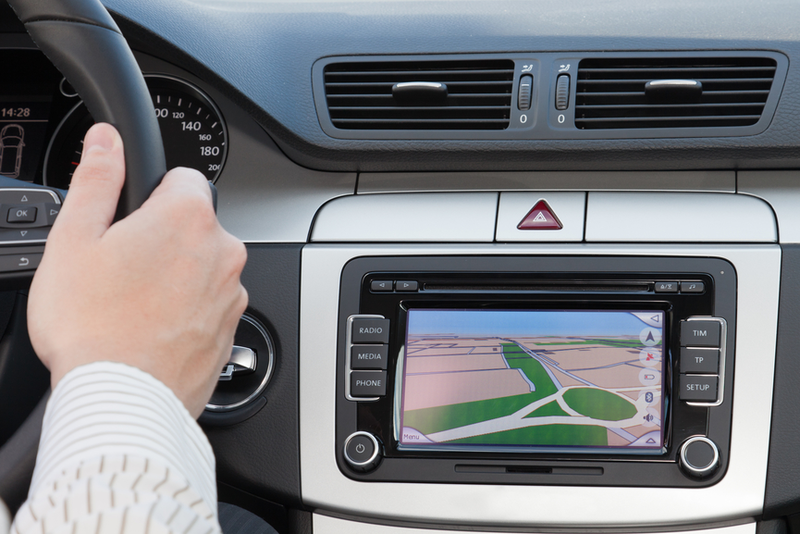 While many GPS systems can be bought separately from the vehicle (often rechargeable or connected to via USB charger or the car’s lighter/electrical outlet), it is the devices built into the car that are often more reliable. Most built-in GPS systems used to pull their route and map data from a DVD, but now the majority use an SD card so you can download and install updates without going through your dealer. While it’s true that you can get by without one of these the question now is: Why would you want to? Yes, this is hardly “tech” at this point, but the lowly AUX jack is still up to date. It works with literally every portable device ever made, requires no fancy cable (aux cables can cost as low as a $1 these days) or setup, and it typically sounds consistent and great. The only downside is a lack of control features like the ones you would find via USB input. No display on the car either. But you can now retire those cassette deck adapters since most cars made in the late 2000’s come with these as standard. In the year 2015 it is more useful than a multi-disc CD changer. If you are buying the latest model vehicle, you should definitely inquire about this. MirrorLink turns your phone or tablet into the brains and media center of your dash, from navigation to calling to music. The screen on the dash just becomes the display. Since most smartphones do almost everything your car’s computer unit can do, and often do it better, this makes sense. As of now, most Carmakers have yet to support it as the standard but this is definitely one piece of technology worth looking into for the foreseeable future. And with the increased presence of smart phones and touch screen devices in our daily lives we have little doubt that these will become a standard feature in five or ten years. Quickly becoming more important than radio, Bluetooth hands free is almost universal in cars today. Of course, there are the few exceptions of a select few lower cost, base model vehicles that don’t include it or a handful of pricey European-made cars that have the guts to charge extra for it. Fast behind-the-wheel hands-free calling is almost a necessity for most professionals and for the kids there is the ability to use Bluetooth Streaming (which doesn’t care if you’re Android, iPhone, or Blackberry) that allows music from your device to just play in your car. The downside of all Bluetooth tech is the limitations of being wireless. Unlike a USB input, it won’t be charging while you drive and will likely drain your battery while doing so. Also some streaming systems don’t show music information at all. Still, it’s convenient in ways that old BT headset could never hope to be, and you won’t look like a dorky cyborg when taking calls anymore, just a weirdo talking to yourself. This really should be a no-brainer for vehicle owner. While no one in their right minds would invite the possibility of an emergency happening, it is best to be prepared. Some manufacturers load up you glove box with a basic first aid kit but owners should definitely invest in one of their own. 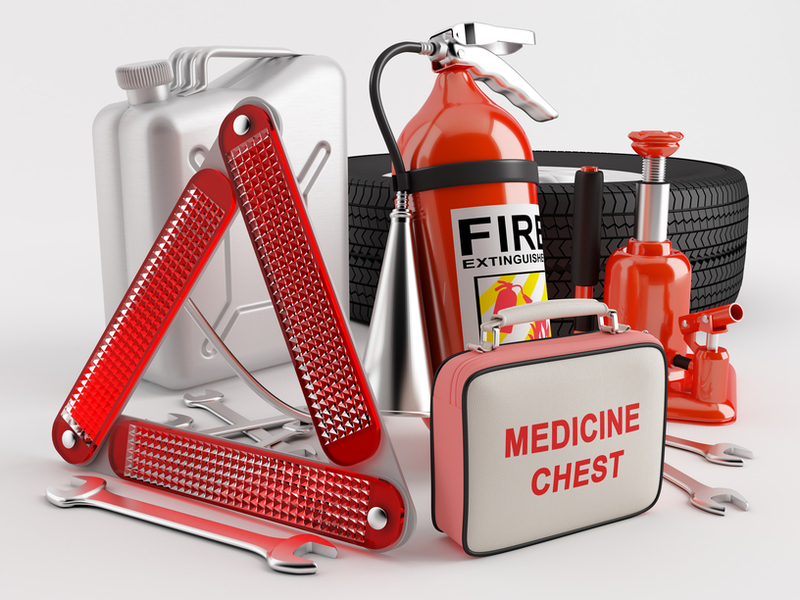 We recommend going a step a further and stocking your vehicle with a kit designed for roadside emergencies with actual gear such as flares, a portable tire pump (charged via the car’s power outlet/lighter), flashlights, a jack lift, and tools for replacing tires etc beyond the recommended emergency blanket ant non-perishable food & water supply. Not really future-proof “tech” but definitely something you should have for an uncertain future. So there you have it. Some of the basic gadgets and gear that you should have at the very least look into when getting a car. While not everyone wants their car to be a utopia of modern convenience, in our increasingly technology reliant world it helps to keep up with the basics. 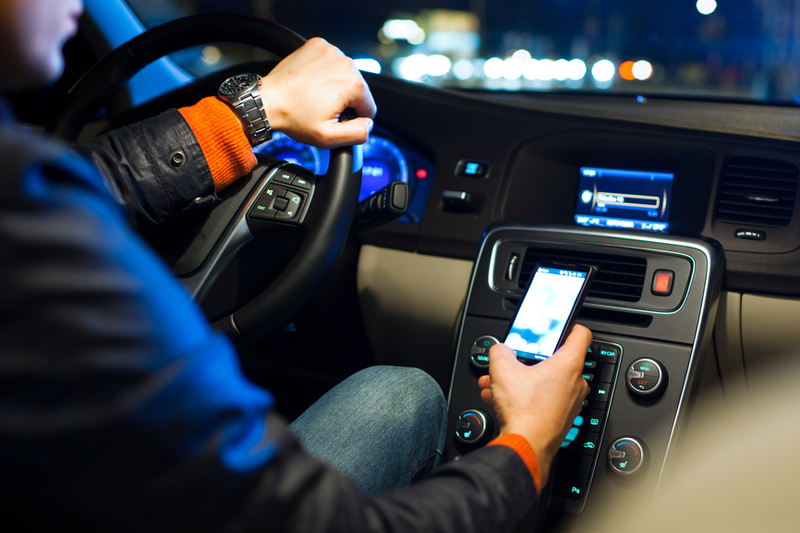 If there’s any other gadget you found you couldn’t live without in your car, comment below and let us know!